We’d love your help. 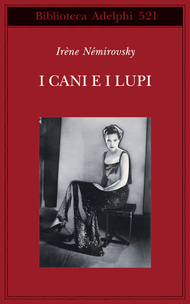 Let us know what’s wrong with this preview of I cani e i lupi by Irène Némirovsky. To ask other readers questions about I cani e i lupi, please sign up. "Ah, come odio le vostre ipocrisie europee! Quel che lei chiama successo, vittoria, amore, odio, io lo chiamo denaro! È un altro termine per definire le stesse cose." This review has been hidden because it contains spoilers. To view it, click here. There is a passage in the second book of the Maccabees in which seven young men, being threatened with torture unless they turn away from their jewish faith, all go to their deaths with a courage and confidence which is quite amazing. As with all accounts of such martyrdom however one needs to shade the story from a too critical approach so as to allow the Truth of the individuals courage to shine through the "collecting together of the recorded facts". Or just allow for the fact that the writer There is a passage in the second book of the Maccabees in which seven young men, being threatened with torture unless they turn away from their jewish faith, all go to their deaths with a courage and confidence which is quite amazing. As with all accounts of such martyrdom however one needs to shade the story from a too critical approach so as to allow the Truth of the individuals courage to shine through the "collecting together of the recorded facts". Or just allow for the fact that the writer might be a bit of an an idiot. The third brother is ordered to put out his tongue for the torture to start and this he does. Sadly it is only after he has done this that the writer tells us the boy holds forth at some length at the cruel and wicked actions of the king. Do try this at home; not the torturing you understand but stick your tongue out and then speak. ......See what i mean, incomprehensible at best, total idiot at worst. The courage and nobility holed beneath the waterline by the recorder of the story not thinking things through. Irene Nemirovsky, sorry but I can't work out how to put the accents on, has composed a story of love, obsession and loss but one that is quite difficult to believe, she holes it beneath its own waterline because she has written a story which is an obvious story of characters created to produce and move along her plot rather than any sense of real people acting from out of real situations. The story begins in the Ukraine and concerns two strands of the same Jewish family, the Sinners. I was not sure whether there was some hidden meaning to the name until it struck me that as the book was a translation it was unlikely. ( I think I am seeing meaning and allegory and significance in everything at the moment owing to other books I have been reading recently). One side of the family is fabulously wealthy and the other horrendously poor. Ada, the heroine, and her cousin, Ben, the anti-hero, flee a pogrom in the lower part of their city and end up taking refuge as eight year olds in the house of the rich strand of the family who they had never met before and yet the family accept this appearance with a little turmoil but not with the outrage that would have been believable in a society so riven with divisions as Nemirovsky described. Ada had already fallen madly in love with the idea she has of her distant cousin, Harry, who she had seen once from afar at 5 or 6. This Harry, we are told, resembles Ben in all his physical attributes but is oh so different that Ada is totally swept up in this love. Show us how he is different Irene, don't just tell us. You tell us he is this, that and the other but it does not come out of any real growth in the story. Harry is wet and weak and insignificant so show us why Ada would possibly have become obsessed with such a nothing-person. Part of my problem with the book is from whose position are we viewing the action and characters. We see Ada's thoughts and her horrible Aunt's thoughts and Harry's thoughts and his mother's thoughts and his wife's thoghts but, in the main, the rest of the characters are interpreted by one or other of these people. This puts the reader at a massive disdvantage because one of the main characters, Ben, is only seen through the impressions others draw of him. He is not an obviously attractive character, he has none of Harry's social advantages, he is seen only externally and we very rarely, if ever, get inside his thoughts. As a result he, a very pivotal character, is just the interpretation or impression of other's opinions. This, I feel, damages the story because whereas the other characters are seen reflecting truthfully and unguardedly within their own minds and therefore we see, to an extent, through their eyes that is not the case with him. His part of the jigsaw remains unfitted, unfound and therefore the picture is incomplete. Anyway back to the story. Next, they all end up in Paris living just a few miles apart, quite by chance you understand, though oceans away in terms of class, and here Ada's total infatuation takes hold of her and she is obsessed again with everything about the wondrous Harry. In the meanwhile she marries Ben, even though she doesn't love him and, Harry, not really being aware of Ada, marries a wealthy french catholic girl. Ada is a wonderful artist and Harry buys two of her paintings which he loves. His house guests are so taken with them that they all decide to gatecrash her house and meet her. Here Harry and Ada begin an affair which Ada has been carrying on in her head since she was about 5 and Harry remembers the times they had met but which he had forgotten. It is in this silly scene that the Maccabees link comes in. Harry and Ada meet in her studio along with at least four other people who had come with Harry, including his wife, and yet they are able to talk privately and intimately for quite some time and arrange a further private meeting without the others in the room wondering why these are having their private tete-a-tete. Rubbish. It is not how real life works. If you are writing a novel supposedly about real life then it must breathe and move and act like real life. Don't mould the life to suit your plot development or if you are then at least make it seem natural. This silly scene is not and yet it is central to the movement of the book. Remove it and the story falls apart, leave it in and the story is false and echoes with silliness. Ben, a few years later, ruins Harry by embezzlement and fraud and flees the country; Ada nobly gives up Harry so he can return to Laurence, his wife. This woman, having tried her utmost to keep the marriage going throughout his betrayal and selfishness, understandably enough, had left him. Ada is deported, Harry returns to his wife, Ben goes off to Mexico and a new life of embezzlement and Lilla, her other cousin, having danced naked in Paris, become mistress to an eastern european princeling and run off with the court musician is never heard of again. It is all too ridiculous. Ada's infatuation is not believable and does not ring true, Harry is a weak, horribly self-centred momma's boy, Laurence is far too understanding for her own good and Ben is presented as an horribly ugly man who is bitter and selfish and yet his behaviour is at least consistent and follows some sort of sane pathway. He declares his love for Ada through everything he does, his love at least stems from an actual encounter and experience of the beloved not some sort of stupid ideal of love which has no bearing in reality. throughout the book I did not feel we were invited into this world at all but rather were watching a badly strung together 'doomed-romance-playlet'. "His face never looked at peace. It quivered constantly, like rippling water.......none of these emotions were ever exhibited as they were by other people, in large waves but rather by short passionate ripples, which made his features look perpetually in conflict over a thousand contradictory thoughts. " "Yet in spite of everything, they were revered amongst their closest collaborators, in the way that old bottles of wine, covered in dust and spiders' webs are revered. Only when the bottles are opened, the wax seal removed, the wine poured into glasses and tasted does it become evident that time, after improving the wine for so long, has ended up spoiling it: all its flavour has gone and the only thing to do now is to throw it away." " 'God forbid!' she thought to herself in Russian, at the same time secretly touching the expensive wood of a table to ward off ill fortune: two lucky charms were better than one, and she had a broad enough mind to borrow superstitions from a variety of cultures." "Meanwhile, a little girl with hair as curly as a poodle's was reciting Camille's speech in which she curses Rome, generously adding three 'r's to each one Corneille had written. The audience listened, impressed." 'Universally accessible and stirringly romantic': - This is not romantic, it is the infatuation of an ideal which has no bearing in a real approach to relationship. 'Exquisite descriptions of character reveal a brilliantly sharp eye' : - Well the descriptions are good I grant you though it is more physical imagery. The characters do not leap from the page in any vibrant manner. 'As much a page turner as anything she has written': - Being a fairly inexperienced Nemirovsky reader i could not really comment, though page turning would not be the phrase that would immediately leap to my mind unless it was to turn back pages to try and work out why these characters were acting in such ridiculously stupid ways. Nope, really sorry but this was annoying and unconvincing. I love her use of image and words and that is why it is a 3 and not a 2, though again the translator Sandra Smith would have to be given some credit for that. I have 'David Golder' on my shelf to read. I shall do so because she writes beautifully but Ada and Harry did not move me. I would say they deserved one another but of course that isn't how they end up. BBC BLURB: Ada Sinner grows up during the Jewish pogroms in the Ukraine in the early 20c. When her Aunt Raisia and cousins come to live with her and her father, she feels more alone than ever. But then Ada discovers another cousin, the rich and distant, Harry Sinner, and a life long passion and love for Harry begins. FURTHER INFO: The French title - Entre chien et loup, meaning twilight, the time when the light is too dim to distinguish a dog from a wolf. This is a novel about family, about fate, about the power of love and about money. Of the banking crash that precipitates her novel's final tragedy, Némirovsky writes with eerie resonance. This was Némirovsky's last published novel. 1: Ada discovers another cousin, the rich and distant, Harry Sinner, and a life long passion and love for Harry begins. 2: After a terrible row with her cruel Aunt Raissa, Ada runs away. Ben, Raissa's son, who is hard and cunning but loves Ada, offers her a solution. 3: Ada paints pictures of scenes from her childhood in the Ukraine and has them displayed in a local shop. Harry sees the paintings and becomes enchanted with them. 4: Ada and Harry begin an affair. Ben has been working for Harry's uncle making deals for the bank. When he discovers their affair, there is a furious row. He can't bear to lose Ada. 5: There is a warrant out for Ben's arrest for fraud, and Harry's family bank has crashed. In order to save Harry from financial ruin, Ada turns to his rich wife, Laurence. Benedetti Anobii e Goodreads grazie ai quali ho scoperto autori che probabilmente mi sarebbero rimasti sconosciuti. Il modo di scrivere di questa donna ti entra nell'anima. Penso sarebbe interessante leggere anche la sua lista della spesa. Riesce a farti entrare nella storia e descrive i personaggi in un modo tale che hai la sensazione di conoscerli. Bello. Uno di quei libri che quando lo finisci lo tieni tra le mani e ti dispiace di doverlo riporre. Sigo sin saber porqué este libro llegó hasta mí. Me disponía a irme de la librería luego de no conseguir el libro que buscaba de Joan Didion, cuando me miró; un nombre totalmente desconocido - y ahora no puedo entender porqué - y un título tan simple. Lo saque del estante para leer la contraportada, pero mis ojos se fueron directamente a dos palabras en formato cursiva: Suite Francesa. Ciertamente no he visto la película, pero es una de mis grandes pendientes de mi actriz favorita, Michelle Will Sigo sin saber porqué este libro llegó hasta mí. Me disponía a irme de la librería luego de no conseguir el libro que buscaba de Joan Didion, cuando me miró; un nombre totalmente desconocido - y ahora no puedo entender porqué - y un título tan simple. Lo saque del estante para leer la contraportada, pero mis ojos se fueron directamente a dos palabras en formato cursiva: Suite Francesa. Ciertamente no he visto la película, pero es una de mis grandes pendientes de mi actriz favorita, Michelle Williams gracias a la cual había ido, irónicamente, en busca de Joan Didion. -Tengo un viaje que hacer y ninguna lectura a mano, es un libro corto y a un precio razonable- pensé, por lo que me marche de allí con 'Los perros y los lobos' sin haber leído ni siquiera la sinopsis. Pocas veces los libros te dejan sin palabras, a mi generalmente me sucede todo lo contrario. Simplemente cerré el libro luego de ese último párrafo que te desgarra el alma y simplemente observe una y otra vez esas últimas líneas. Esta podría ser la historia de los Sinner, de la mentalidad judía, de la tristeza o de lo platónico o de lo que tu hayas decidió prestarle tu atención. Pero considero, tal vez personalmente, que es la historia de Ada, una joven judía, y de la soledad, que a lo largo de la novela te irá mostrando que incluso en las muchedumbres, incluso siendo amada, camina sola en el desierto, persiguiendo algo que espera algún día sea capaz de voltearse y observarla. "...Del mismo como que ciertos rostros, ciertas casas desconocidas, despiertan en la memoria un eco a un tiempo melancólico y dulce, como si nos encontráramos con los testigos de una vida anterior." Este es un libro lleno de nostalgias, de deseos, de pérdidas. Es un libro de una infinita tristeza y, al mismo tiempo, de una belleza literaria única. La narración, el estilo, nos permite no sólo comprender la vida de los personajes, su contexto, en una Europa del Este ya extinta, en un París con tantos significados, sino identificarnos con ellos. ¿Quién no ha sentido una nostalgia pura al recordar su ciudad de origen, los juegos de la infancia, esa admiración hacia una persona en nuestra vida sin una explicación aparente? Para mí, el personaje de Ada es el espíritu de una niñez pura, de los juegos inocentes que no conocen aún de tragedias y de un momento en donde todo es posible. Creo que como muchos, escuché por primera vez de Irène Némirovsky por la película estrenada hace algunos años, Suite Française. La película me gustó bastante e hizo que me interesara por la autora. Tenía la firme intención de comprar el libro, pero entonces leí que es un escrito inconcluso, probablemente la última obra en la que trabajaba Irène antes de ser deportada y fallecer en Auschwitz. Y la verdad es que, por alguna razón incomprensible, no me gusta leer textos que no fueron terminados por el escritor porque, el quedarme con la historia a medias me causa cierta ansiedad. Pues bien, un buen día encontré en una librería este pequeño libro, Los Perros y Los Lobos y pensé que podría ser una buena introducción a la obra de Némoirovsky. ¡Y qué descubrimiento! La novela nos narra la vida de tres personajes, desde su infancia hasta el final de su juventud: Ben, Ada y Harry, tres judíos viviendo en una pequeña ciudad perteneciente al imperio ruso pero de diferentes clases sociales. Ada y Ben son primos y viven en la parte "baja" de la ciudad, en donde habitan las familias con escasos recursos, mientras Harry pertenece a las familias pudientes de la ciudad. Sus vidas no podían ser más diferentes y sin embargo, comparten algo -además de ser familiares lejanos (comparten el apellido Sinner)- son judíos. Aquí creo que la autora explora de una manera extraordinaria el sentido de pertenencia, y de hecho, va más allá de la exploración -es una crítica dura, sí, pero inteligente. A través de los ojos de Ada, vemos las diferencias de clase y el rechazo pero que va más allá de la posición social, pues lo que los judíos 'pobres' representaban ante los pudientes era: “…una eterna advertencia, un atroz y vergonzoso recordatorio de lo que habían sido, o de lo que podrían haber sido, pues nadie se atrevía a pensar: ‘De lo que podríamos volver a ser’. Sin embargo, Ada no vive o se atormenta por los rechazos, sino al contrario -en una ciudad triste, con un padre distante, una tía autoritaria, la amenaza de los progroms y los ataques, ella va descubriendo un mundo de posibilidades, de ensueños, de deseos. No todos se cumplen, pero finalmente, esos años formativos le dan lo que será su razón de ser, su esperanza y su guía -la imagen de Harry. Muchos años después, Harry y Ada se encontrarán en París, aun y cuando ambos se casaron -Ada con su primo Ben, y él con una mujer francesa, y, sin malicia, sin pasiones de ningún tipo, comenzarán una relación. Más que un deseo físico, la relación de ambos se basa en la añoranza, en aquellas cosas que solo dos espíritus a fines logran entender. Habrá que señalar que se reencuentran porque un día Harry ve en una librería unos cuadros que le recuerdan a su ciudad natal, y que fueron pintados por Ada. No es una pasión desbordada, sino una afinidad, una paz entre ambos basada en los recuerdos, en el pasado, en su alejamiento a su condición de judíos -que no rechazan pero no viven de manera ortodoxa. Ada deseó tanto la oportunidad de estar con Harry, conocerlo, que cuando lo logra es como un sueño cumplido -llena de satisfacción, de una alegría que, sea lo que pase después, no podrá disminuirse. Ada de hecho, reconoce ante Harry, que si de pronto terminara, sería feliz por siempre. Lo único que no comprendí en la historia -o no me pareció cuadrar- fue la actitud de algunos personajes, por ejemplo Ben (quien no ama a Ada, pero es un hombre taciturno, rudo, y deja que ella lo deje por Harry), y de la esposa de Harry, así como de la tía Rhaissa, quien tenía sueños de grandeza para su hija Lilla y al final termina dejándola bailar en un cabaret. Siento que en estos personajes hay una especie de incongruencia; sin embargo, en el ambiente de la novela reina el tema de la desilusión, de la aceptación de la desesperanza sin tintes amargos, sino como un curso natural de la vida. I picked up this novel not so much because of the storyline, but because I was intrigued by the author’s own life. Irène Némirovsky was of Russian-Jewish origin and one of the many victims of the Final Solution. She was killed at 39 in Auschwitz, the largest concentration camp in the Nazi occupied Poland. Her wealthy family fled the Russian Empire at the beginning of the Russian Revolution in 1917 when Irène was only 14. Since then she lived mostly in Paris, married there, had two daughters and wrote intensely. Even if she was quite successful from her first novels and was widely recognized as a true talent, she was denied the France citizenship. She converted to Catholicism four years prior to her arrest but it didn’t matter for the Gestapo. Luckily she managed to save the girls, but her husband faced her same death a few months later. This novel is one of her latest works and was published just before the restrictions on Jewish authors came into effect in 1941. It’s a page-tuner. I loved mostly the first part of the novel where she introduces the characters and depicts the life of cousins Ada and Ben among the poorest Jews in the ghetto in a Ukrainian city, the terror of the pogrom, the startling differences between their impoverished family and that of a distant relative, Harry Sinner, who lives in pomp and ceremony. I liked the portrait of aunt Raisa, the grasping, avaricious and highly ambitious Jewess which is said to be the image of Irène’s own mother. The second part of the novel felt like it was heading with too much speed towards the end, but loved it anyway. It focuses on the struggles for a better life in Paris, the relentless pursuit of money, Ben’s financial machinations and Ada’s adulterous love affair with Harry. I will definitely be on the lookout for Nemirovsky's other prized works like “Suite Française”, “Fire in the Blood” or “David Golden”. I was surprised by this novel. so close to its fatal end. this one surprised because it disappointed. felt thin, simplistic and underdeveloped. Not meaty like her earlier books. Perhaps this book was part of a Learning Curve?? which refers to something being blurred. in similar division - rich and poor. variations being 'strange', 'foreign', 'different','outsider'. revolving around a love affair. This one didn't hold me as fast. Ma quante vite ha vissuto questa donna, per poter scrivere così? Quante?! 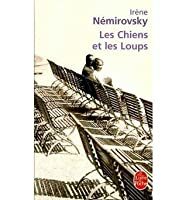 The Dogs and the Wolves is the sixth Némirovsky book I’ve read and in my opinion, it’s one of her best. Beautiful writing as always and a highly memorable story. For the first time, she truly saw the lovely color of the sky, lilac and pistachio green, like sorbet; a yellowish moon, pale and round, without a halo, hovered there in the daylight. And on the horizon she could see soft, fluffy little clouds rushing by; they looked as if the moon was breathing them The Dogs and the Wolves is the sixth Némirovsky book I’ve read and in my opinion, it’s one of her best. Beautiful writing as always and a highly memorable story. For the first time, she truly saw the lovely color of the sky, lilac and pistachio green, like sorbet; a yellowish moon, pale and round, without a halo, hovered there in the daylight. And on the horizon she could see soft, fluffy little clouds rushing by; they looked as if the moon was breathing them in, absorbing them. Her grandfather’s books were works in Russian and translations of English, German and French classics. An entire universe, hitherto unknown, opened before Ada, a world whose colors were so dazzling that reality paled in comparison and faded away. But I can’t forget, I can’t. It’s a unique curse that makes me recall every feature, every word, every moment of joy or pain once they have struck me. Lo sapevo... Doveva succedere prima o poi, doveva capitare anche a me che un libro di Irène Némirovsky non rispettasse le attese, che mi deludesse. Non è questa la mia Irène: è stanca, frettolosa, a tratti persino troppo ingenua, prevedibile e mielosa. Alcune descrizioni sono come sempre superbe, così come la sua abituale capacità di tratteggiare e caratterizzare, con poche parole, ebrei russi e francesi, ricchi e poveri, cani e lupi. Ma non basta, questa volta non mi è proprio bastato. I cani e i lupi, si incastona tra Due e I doni della vita, ma non è un gioiello, non ha né la potenza e la forza dirompente del primo, né il tranquillo positivismo del secondo: è rassegnato all'ineluttabile, spossato, vinto. Omnibus. Made for 4 Extra. Ada grows up in the poor Jewish pogroms of the Ukraine. Fate, finance and love cruelly collide, changing her life forever. I am always amazed at this writer's insight into Jewish as well as gentiles' emotions. Secondo libro della Némirovsky che leggo, autrice scoperta qui su Goodreads. Brava, indubbiamente. Mi sono chiesta se non ci fosse un tocco autobiografico nel descrivere Ada, la bambina e poi la donna autonoma e determinata appartenente al lato sbagliato della famiglia Sinner. Molto interessante il concetto di destino, di sangue, che lega Ada ad Harry attraverso l'Europa. Mi spiace tuttavia che lui scompaia nel finale: lo vediamo per l'ultima volta a una festa, ignaro della disgrazia abbattutasi Secondo libro della Némirovsky che leggo, autrice scoperta qui su Goodreads. Brava, indubbiamente. Molto interessante il concetto di destino, di sangue, che lega Ada ad Harry attraverso l'Europa. Mi spiace tuttavia che lui scompaia nel finale: lo vediamo per l'ultima volta a una festa, ignaro della disgrazia abbattutasi sulla sua famiglia, me nulla ci viene detto della sua reazione quando apprenderà del fallimento della banca degli zii. Una donna, due uomini. Tutti e tre ebrei e legati dallo stesso cognome. Harry vive nella parte alta della città, dove stanno i ricchi. Ada e Ben, in quella bassa, dove stanno i miseri. I cani e i lupi. Le loro vite si incroceranno presto e questo segnerà il loro futuro. In modo semplice e scorrevole , come sa essere la buona scrittura, sfogliamo le pagine della loro vita, della loro condizione di ebrei nell'Europa del primo '900. Credo di aver detto anche troppo. Anzi no. Leggetelo! Che differenza c'è tra i cani e i lupi? Geneticamente non molta, ma caratterialmente c'è un abisso, e i cani non possono vivere da soli nel vasto mondo, non ne hanno le risorse. La stessa differenza passa tra i cugini ebrei Harry e Ben, e tra di loro c'è Ada, lupa a sua volta, ma attratta dai cani. Ma ognuno verrà irresistibilmente fagocitato dalla sua natura e dal branco a cui appartiene. Very disappointing. Being a child (great, great grandchild) of immigrants who escaped from the Ukrainian pogroms I was full of hope... Tyhe characters never really developed from one-dimensional set pieces. Assolutamente da leggere perché è magistrale . Irene Nemirovsky non delude mai , riesce a creare in modo impeccabile sia i personaggi che le ambientazioni; in questo romanzo c'è una piccola vena di speranza che però alla fine viene infranta a metà ma poi ritorna sul finale. A Romeo and Juliet type love story about love against the odds of class and poverty, this story is beautifully written. Achingly sad, I gave it three stars. Um romance escrito de forma simples, vivido no corpo de uma jovem simples, e com uma vida dura, uma mistura de platónico com real. A Romeo and Juliet novel with a twist: the lovers are both of the same extended family, one rich and the other poor, one cloistered at the top of the hill with all the trappings of wealth and the other dealing with pogroms, absentee fathers and wicked aunts. Ada Sinner is the poor girl, whose father is a broker, one of those in the social hierarchy who stand between the ghetto-poor and the upwardly mobile. Yet, he is a widower and has to rely in his widowed sister-in-law, Raissa, and her brood, w A Romeo and Juliet novel with a twist: the lovers are both of the same extended family, one rich and the other poor, one cloistered at the top of the hill with all the trappings of wealth and the other dealing with pogroms, absentee fathers and wicked aunts. Ada Sinner is the poor girl, whose father is a broker, one of those in the social hierarchy who stand between the ghetto-poor and the upwardly mobile. Yet, he is a widower and has to rely in his widowed sister-in-law, Raissa, and her brood, who have come to live with him, to raise Ada. Raisaa has upwardly mobile plans, especially for her older daughter Lilla, and is an uncaring caretaker of Ada. Harry Sinner is the rich Jewish relative living on top of the hill whom Ada falls in love with when she flees to his home during the height of a pogrom in the lower town. And yet she is loved by her cousin Ben, Raissa’s son, a survivor who will bend the rules to earn a buck. The rich and poor members of the Sinner family reach out to each other and the richer ones try to help as best as they can, but societal restrictions of class get in the way. To complicate things, Harry marries a Gentile Frenchwoman, Laurence, but deserts her for Ada, while Ben is taken into the confidence by the wealthy elder Sinners as he is more of a mover and shaker than the genteel Harry. The fickle waters of international banking come into play, Ben makes a gamble that he loses, and Ada is forced to make a choice that involves loss and gain in equal measure. A rather convoluted plot! Although beginning in the Ukraine—from where the Sinners, both rich and poor, move to France to better their prospects—the story turns into a bold exploration of the Jewish hierarchy in France and its assimilation (or not) into mainstream society in that country. The Sinners are intense people: Ben obsesses over making it rich and gaining the approval of the elder Sinners, Raissa worries over Lilla’s future only to see her daughter end up as the mistress of a married man, old Israel Sinner rushes all over the place trying to broker the elusive deal that will feed his extended family, and Ada perseveres in trying and catch Harry’s attention by hook or by crook. The omniscient narrator and the leisurely pace of the narrative dates it. Long gaps in time are covered in a sentence while at other times the author dedicates an entire chapter to a single scene. The scene of the pogrom, related through the eyes of child, is well drawn, although Ada’s long suffering love for Harry and the actions she takes to attract his attention are a bit melodramatic. 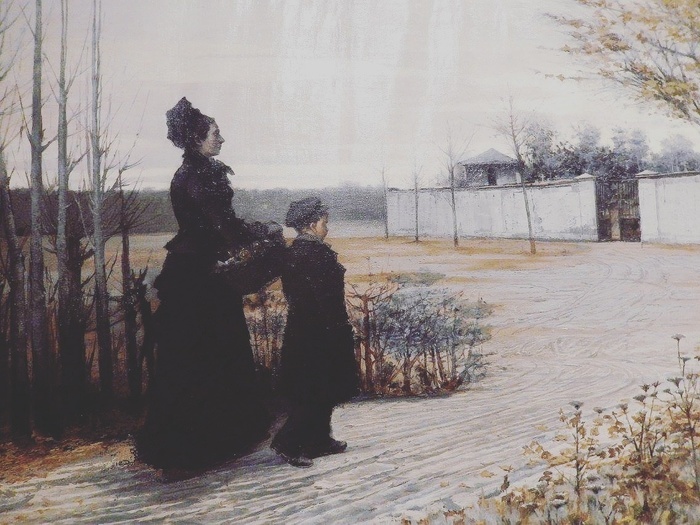 The novel ends with each getting what they deserve, which makes it rather pat and loses its connection with the maddening unreality of the times, especially when it comes to the fate of the Jews in Europe in the first half of the 20th century. Had Nemirovsky known how inconclusively her own story was to end just a few years later, I wonder whether she would have resorted to writing such tightly crafted novels about Jewish life? Este livro narra a história de Ada uma jovem judia que se apaixona por Harry, com quem partilha a religião, mas não os meios de fortuna. Harry é rico, muito rico, enquanto Ada e a sua família lutam em Paris pela sua subsistência, enfrentando todo o tipo de adversidades. O enlevo de Ada por Harry começa na infância de ambos e é durante muito tempo platónico. Aquela paixão é uma fantasia, um reduto de sonhos, face a uma vida difícil, entre dificuldades económicas, abandono familiar e perseguição a Este livro narra a história de Ada uma jovem judia que se apaixona por Harry, com quem partilha a religião, mas não os meios de fortuna. Harry é rico, muito rico, enquanto Ada e a sua família lutam em Paris pela sua subsistência, enfrentando todo o tipo de adversidades. O enlevo de Ada por Harry começa na infância de ambos e é durante muito tempo platónico. Aquela paixão é uma fantasia, um reduto de sonhos, face a uma vida difícil, entre dificuldades económicas, abandono familiar e perseguição aos judeus. Ada tem, porém, talento para a pintura e é dessa forma que entra na vida de Harry. A paixão platónica de infância, que o tempo não apagou, acaba por encontrar terreno para a concretização. A estrutura deste romance é, pois, muito simples. Há um núcleo de pobre e outros de ricos. A rapariga pobre apaixona-se pelo menino rico. Um traço saliente do livro é também a assunção de diversos preconceitos contra os judeus. Desde o seu amor desenfreado ao dinheiro e ao luxo, passando pela mãe controladora, bem como pela ideia fatalista de desgraça à espera, estão lá muitas das ideias feitas sobre a cultura desse povo. A autora era judia de origem, mas nunca se reviu nesse ambiente. Esse facto, aliado aos desentendimentos constantes com a mãe, pode explicar este levar à cena (no caso à escrita) de uma forma tão clara os indicados preconceitos. A única personagem que deles se afasta é Ada, um alter ego da escritora. Lutadora, convicta e corajosa, é também fantasiosa e romântica. No momento decisivo, não lhe falta, contudo pragmatismo. O papel das mulheres no livro é decisivo. Harry surge como a imagem preponderante num primeiro momento. Mas quando analisamos mais detalhadamente, percebemos que quem toma as decisões são as mulheres que o rodeiam: a mãe, Laurence e Ada. O final da narrativa põe termo àquela que é uma das características de Ada que perpassa todo o livro: uma imensa solidão. Esse é um aspecto que, a meu ver, redime o livro que surge demasiado apoiado em fórmulas de escrita já estudadas e sem grande inovação. Nemirovsky, the daughter of a wealthy banker, was born in Kiev and grew up in France where she found success as an author before the second world war brought an end to her writing, and her life. After the recent success of Suite Francaise, her earlier works have now been published. This one seems to have most echoes of her own life. Two distinct branches of the Sinner family are followed from their origins in a pre-revolutionary Ukrainian town, where the rich and poor Jews are distinct and divid Nemirovsky, the daughter of a wealthy banker, was born in Kiev and grew up in France where she found success as an author before the second world war brought an end to her writing, and her life. After the recent success of Suite Francaise, her earlier works have now been published. This one seems to have most echoes of her own life. Two distinct branches of the Sinner family are followed from their origins in a pre-revolutionary Ukrainian town, where the rich and poor Jews are distinct and divided peoples. After a pogrom in the town they leave and arrive in Paris where Ada and Ben from the poorer side of the family and Harry from a family of wealthy financiers lead their separate lives until Ada and Harry's destiny brings them together. The romance parts of the story are incredibly syrupy and insincere. The story is episodic and huge jumps in time keep happening, with characters given a central role then dispatched in a brief sentence. Many of the stereotypes of the Jewish characters are uncomfortable reading, with lots of mentions of hooked noses and avaricious hunting for wealth. This is explained as a response to centuries of suffering and uncertainty. There is a sense of unity and common purpose among all the Jewish people. le mie due stelle (temo in controtendenza) si spiegano con quello che ho pensato ieri sera chiudendo il libro: forse ho attaccato Irène Némirovsky da un lato debole. I cani e i lupi mi ha dato l’impressione di non avere corpo, come se afferrandolo con leggera pressione rivelasse la fragilità di una sfera di carta, una di quelle lampade orientali in carta sottolissima e bacchette flessibili. la scrittura è quasi da fiaba, con una scansione temporale stramba, velocissima per valicare decenni ed ete le mie due stelle (temo in controtendenza) si spiegano con quello che ho pensato ieri sera chiudendo il libro: forse ho attaccato Irène Némirovsky da un lato debole. la scrittura è quasi da fiaba, con una scansione temporale stramba, velocissima per valicare decenni ed eterna nel superare una notte di paura. ed è forse per questa levità stilistica, che ho apprezzato di più la prima parte che racconta dell’infanzia di Ada trai pogrom russi, la fantasia sfrenata, la notte nascosta in un baule. quando Ada diventa grande, sempre rincorrendo un’infatuazione amorosa, mi sembra che la scrittura della Némirovsky non stia più dietro alla storia, o almeno la renda troppo zuccherina, leggermente indigesta.